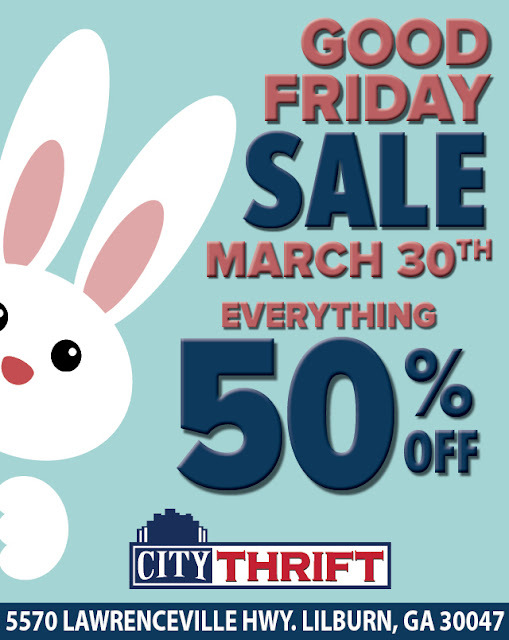 Be sure to Save the Date Friday, March 30th 2018 for City Thrift Good Friday Sale. Save an additional 50% OFF EVERYTHING in the store. This includes Women's, Men's and Children's Clothing, Shoes, Accessories, Jewelry, Toys, Furniture, Decor, Household Items, Books, Frames, Electronics and More.